Starting on 20th July, FlipNpik is making its private sale public for 15 days. This means everyone will be able to enjoy the privileges and bonuses traditionally reserved only for the large investors, known as ‘whales’. With a low minimum buy-in of 100 USD, investors will receive 50% whales bonus, and they can double this bonus when they refer a friend to the ICO. FlipNpik is also introducing a fiat-based payment gateway for their private sale and ICO so that the larger community who may be new to cryptocurrencies can easily break down the “crypto barrier”. 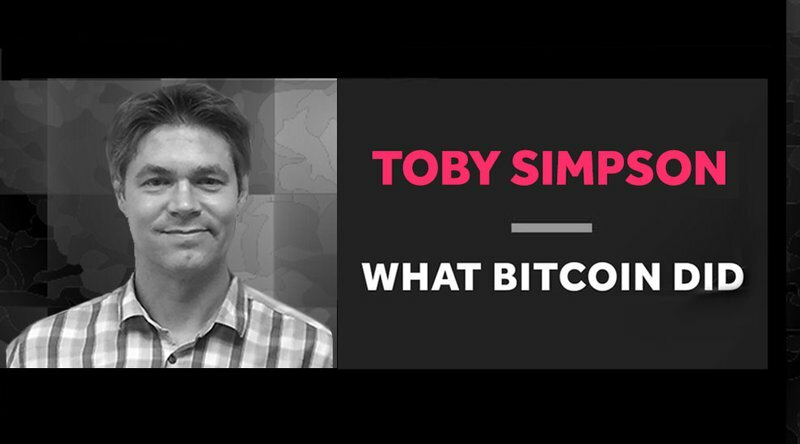 “ICOs were once a medium of inclusion to almost anyone with access to the internet and a few bucks to invest with. With FlipNpik ICO, we want to bring this opportunity back to the masses.” states Henri Harland CEO of FlipNpik. FlipNpik is the first ecosystem that allows users to monetize their social media engagements. In line with the FlipNpik philosophy of sharing value, the FlipNpik App allows users to monetize their social media posts by supporting their favourite local shops. Users are rewarded for posting and promoting businesses, and this in turn translates to enhanced marketing and visibility for businesses. In the FlipNpik blockchain-based ecosystem, both small businesses and communities are empowered – everyone gains and there are no losers in this story. The digital marketing industry is huge, with over 100M businesses worldwide and a market revenue of 1 Trillion USD. Using a conservative estimate of targeting only 0.0325% of this space and with a reduced spending in digital marketing by businesses due to the collaborative nature of the FlipNpik ecosystem, the potential annual revenue for the FlipNpik ecosystem that will be reached within 5 years is already a whopping 1.2 Billion USD. This corresponds to a company Net Present Value of 115 Million USD. 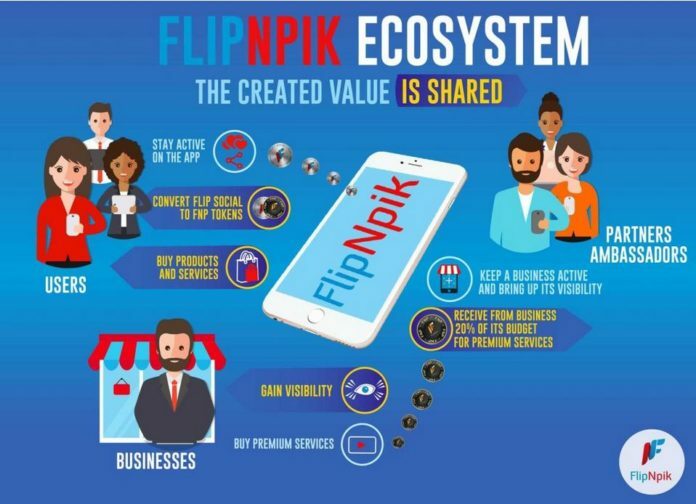 The revenue will be shared with the token holders active within the ecosystem, which translates to a Net Present Value of the FlipNpik (FNP) token of 0.30 USD. The FlipNpik mobile app is already available on iOS and Android and its technology has been rolled out in England, Switzerland, Ireland, France, Canada, and Singapore. Henri Harland is the brainchild behind FlipNpik. Holder of an actuarial science degree and an MBA in Finance, Henri is an expert in finance and has participated in the listing of several companies on the stock market. Henri built his legacy by creating and sharing value, and the FlipNpik ecosystem is a true reflection of that philosophy. The FlipNpik team can count on many experts, including experts in finance, algorithm creation, content creation, marketing and technology. The project has also received the support of the best cryptocurrency advisors as well as specialized companies with success in previous ICO’s. FNP tokens will be sold for 0.12 USD during the pre-ICO, representing a substantial discount to its Net Present Value. In addition, token buyers also receive the special 50% whale bonus and the referral bonus, which is only available for 15 days starting 20th July.